The visit of young Irene and Charles in 1947 was covered by the popular press other beyond Life Magazine. 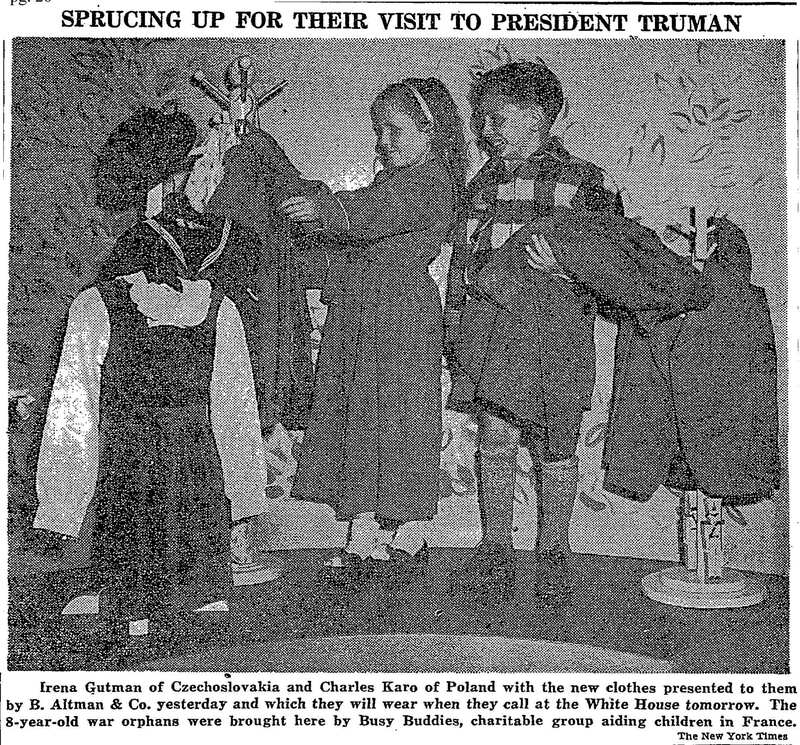 The New York Times covered the trip as well, publishing images of Irene and Charles with Magda Bierman, the President of Busy Buddies, the group that sponsored their trip, and as they tried on clothes in preparation for a visit to the White House. 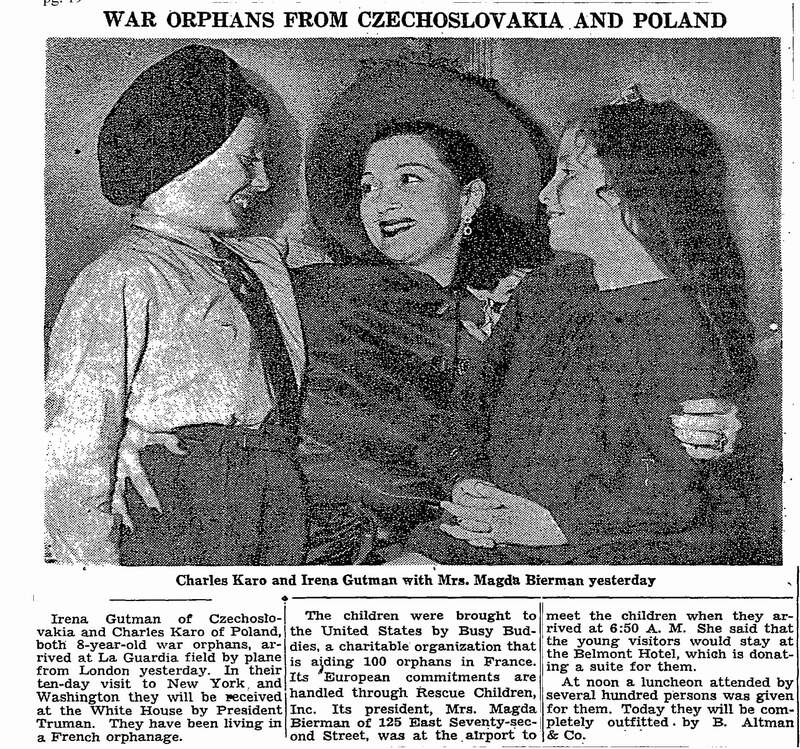 Both images referred to Irene and Charles as "war orphans" - a term which avoided any kind of reference to Nazism, the Holocaust, or Jews. Irene and Charles served as poster children for all war orphans in this regard, drawing on an emotional response from American readers. The captions for both images also reference sponsors such as the Belmont Hotel and B. Altman & Co. These images were publicity for these sponsors, more than narrative representations of two young Holocaust survivors. Discussion of "Irene: Popular Press"
Version 11 id 27949 of this page, updated 22 November 2014 by Rachel Deblinger. Created by Rachel Deblinger.